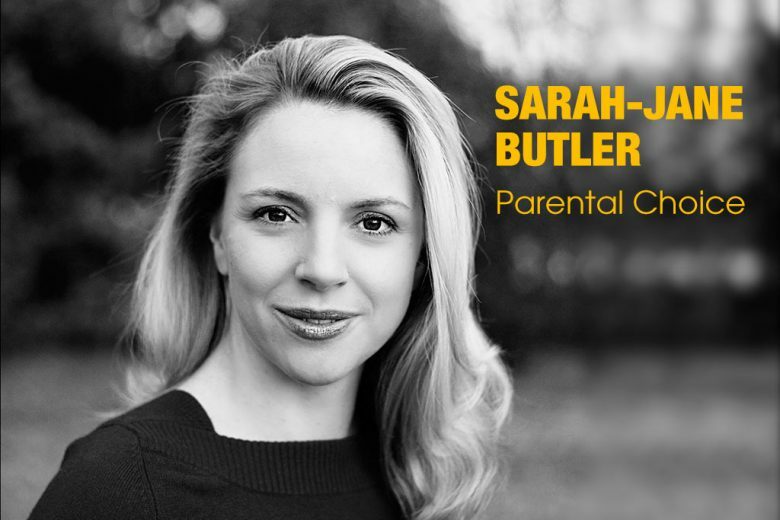 When Sarah-Jane Butler was on maternity leave with her first child, she realised how confusing it was to find the right childcare. So she started Parental Choice to make the search easier for other parents. After graduating from Bristol University with a degree in French and German, I did my legal training at the College of Law in Guildford and then London. Deciding to specialise in financial law I began as a trainee and then junior associate within Linklaters’ Equity and Debt Market Department. In 2004 I became an associate at Freshfields, a role which included a secondment to the New York office and to the Real Estate Banking Group at Goldman Sachs. From 2007 until 2011 (the year I launched Parental Choice) I was a senior associate at Berwin Leighton Paisner. What inspired you to start Parental Choice? It was whilst I was on maternity leave with my first child that I started researching into childcare and realised how confusing the whole issue was. There were nanny agencies telling me about nannies, local authorities offering contact details for childminders and various websites giving information about different nurseries, but what I really wanted was an easily accessible, central resource where I could find everything childcare-related. Today Parental Choice has grown to the point where it has nine employees, with two additional members of staff due to join by the end of the year. How did you get started on the business? What were your first steps? It was after I went back to work having had my first chid that I realised the time may have come to consider a change in career. One evening my father asked what ever happened to my idea for a one-stop childcare shop. I thought, why not? I began sowing the seeds for what would become Parental Choice while I was pregnant with my second child and still working. A friend helped create the website, whilst contacts who were childcare and education experts assisted with the copywriting. Parental Choice was formed in June 2011 and was launched three months later. The first client came on board in August 2011 and my first employee, a friend who also happened to be an HR expert, joined as a consultant in September 2012 as the business was getting busier and busier. What were the biggest challenges you faced, and how have you overcome them? The greatest challenge is juggling all the various elements that Parental Choice involves: clients, marketing, financial planning etc. Although our team is growing, we still don’t have all of the support that a larger company would have and as such I am always encountering new challenges – and learning new skills. I am responsible for my team’s actions and for ensuring my clients are happy with our service. This can be incredibly stressful as can the eternal issue of cash flow which all small businesses contend with. Being a mother and setting up a business is also incredibly hard work. I was five months pregnant when Parental Choice was founded and my evenings and holidays have since been compromised. The stress of starting out on your own and the financial pressure that a new business entails cannot be underestimated. I have overcome all these challenges through a mixture of hard work and determination. I also have a very supportive husband which helps enormously. I’m also lucky to have an incredibly flexible part time nanny that helps when I have to be in London for meetings and during school holidays. What other opportunities has Parental Choice led to? Having started out very much as a resource for parents we soon realised that this was only half the story. By helping parents get back to work safe in the knowledge that they have the right childcare, Parental Choice also helps companies retain their talent and increase loyalty and commitment. By guiding employees through the childcare options at their disposal to fit their agreed working patterns, absenteeism and resignations can be significantly reduced, thereby saving money for both parents and employers. Our aim now is to push further into the corporate employee benefits arena to enable companies to offer our services as a benefit to their employees. We already work with companies such as L’Oreal and Citibank and would like to increase market awareness to the benefits of our services and how we can help companies retain the talent inherent in their working parents. You’re a government consultant on childcare issues. How did that come about? It just happened organically. I think my background in law as well as the practical experience gleaned from running Parental Choice have given me a good perspective on the many issues facing today’s parents and carers. I have been involved with Government consultations on childminder agencies as well as speaking publicly at Government policy briefings on topics such as “Bridging the Gender Equality Gap – The Future Role of Women” and the “Back to Work for Women” programme. What insights have you gathered from working with the government? The prohibitive cost of childcare in the UK threatens to have serious repercussions for the nation’s workforce. Despite the promises made both leading up to this year’s election and since, the government’s childcare plans are just not tenable. Nurseries and child-minders can’t provide the quality and safety parents and children deserve for the amount the government provides. Also the Government and businesses need to work harder to support working parents. Unemployment is falling and soon it will be a worker’s market. Companies can’t afford to lose the talent and experience that they have within their working parents because of outdated ideas on flexible working or an unconscious bias against parents. You have won a number of awards for your work. What are they? In 2014 Brummell Magazine was kind enough to name me one of the City’s Top Inspirational Entrepreneurs, whilst Parental Choice was short-listed for the SME Employer of the Year Award by WorkingMums. More recently the company was named one of the Top 10 Small Employers for Working Families 2015. October 2015 also saw us receive Family Friendly UK Employer accreditation from the Family and Childcare Trust in recognition of our commitment to placing the needs of families at the centre of our vision as a company. What advice do you have for other women who want to establish themselves as leaders in their field? It is vital not to underestimate the importance of networking, whether it’s amongst the parents at the school gate or at a conference in the City. You also have to be determined and have a lot of guts to push through the tough times. Starting your own business is hard work and sometimes it doesn’t always work and you have to learn when to stop, take stock and rethink. Also never stop reading and listening. There are a lot of people with ideas and information out there. You might not always agree with them but it pays to have a balanced, well-informed basis from which you can springboard your ideas. Find out more about Parental Choice on their website.